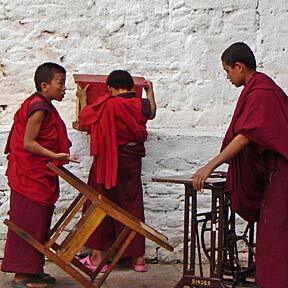 Boy monks perform chores inside the Punakha Dzong, a temple and fortress in Bhutan. The Asian country limits tourism and still clings to the old ways. »A new start for the U.N.